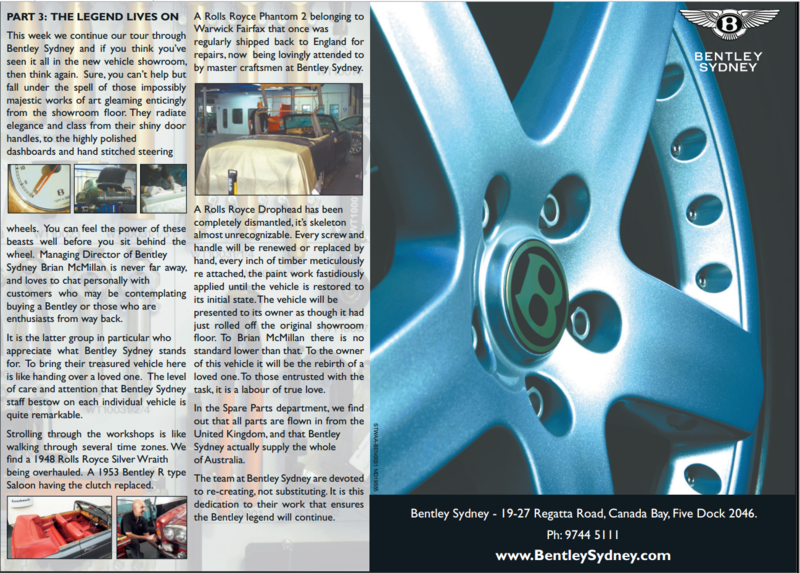 I was commissioned to write a 3-part article for Bentley Sydney. 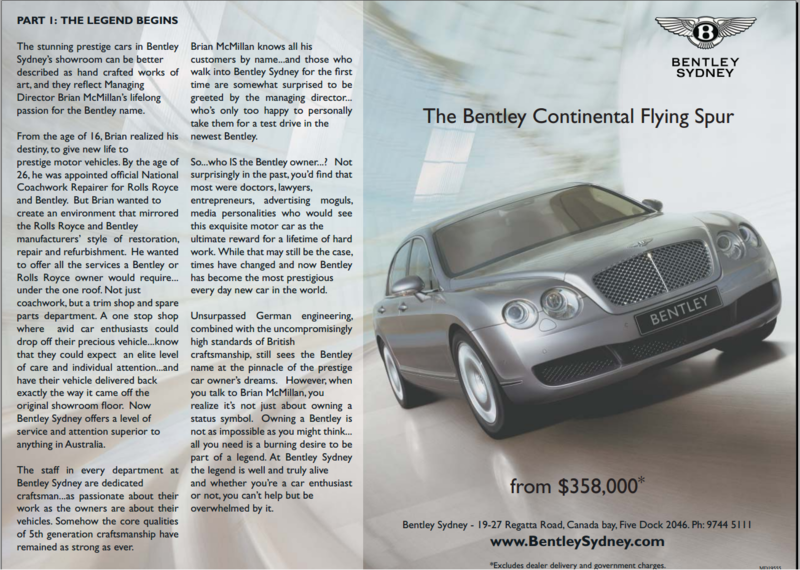 This involved a few trips out to the dealership and interviewing the various sector managers. 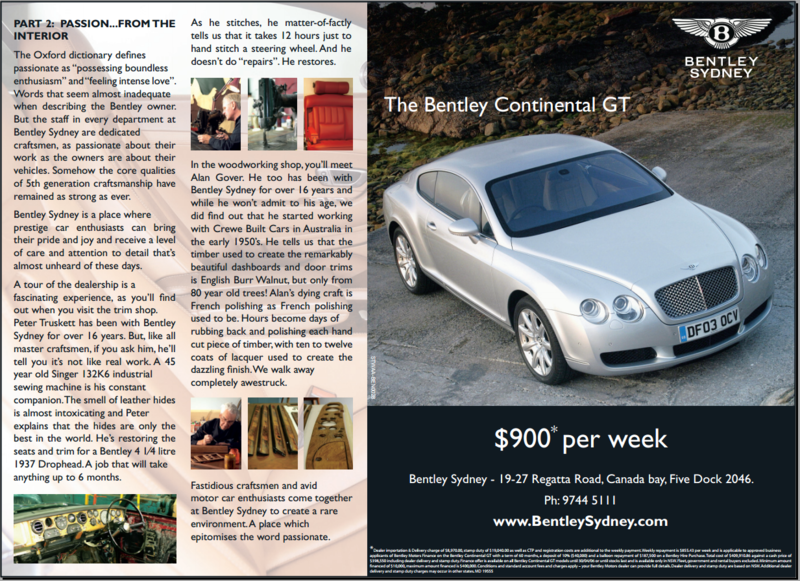 I’m no motor-head, but I must say the experience was a huge eye-opener. I learned a lot about quality, prestige and the sheer devotion and enthusiasm that people have for these expensive hunks of metal.